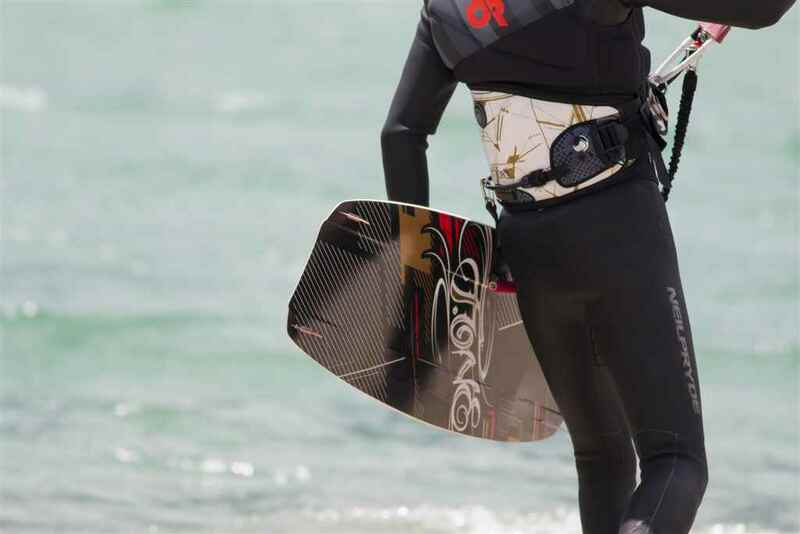 Kite surfing is the fastest growing, extreme water sport. 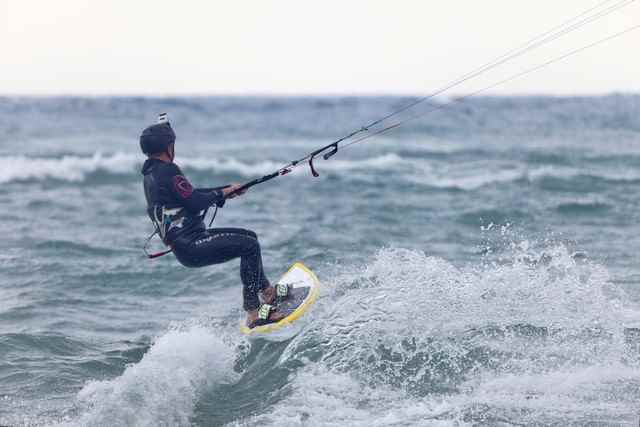 It has been said that anyone who tries kite surfing once will never go back to any other water sport! 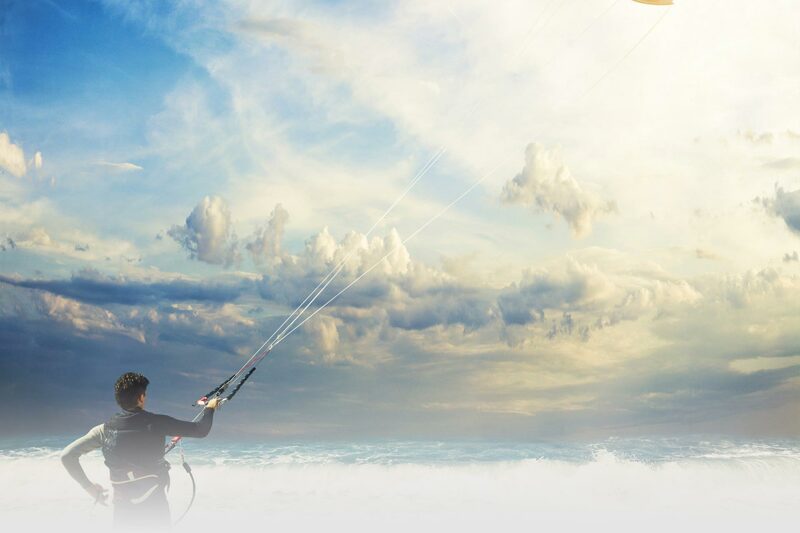 The combination of water and air creates a sensation that is 3 dimensional, with the added power of the pull of the kite, is what makes kite surfing one of the easiest water sports to master. This is an opportunity to try it and see if this spectacular sport is for you. 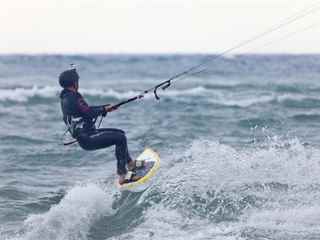 Located at Halikounas Beach on the South West coast of Corfu, the kite surfing station is ideally situated to catch the north west winds along the mile long sandy beach. The sea is shallow, perfect for first flight exercises with a kite and deepens gradually for the water start manouever that is crucial for sucessful kite surfing. During two hour try out session your instructor will teach you the 'wind window theory', explaining and practicing control and safety of the kite on water and land, the theory behind kite surfing and guiding you through a practice session to enable you to understand and enjoy this sport. All transfers, equipment, and instructor's fees are included in the price of the tour. You are responsible for ensuring that your medical condition is suitable for this sport. We are not liable for any injury you might obtain during your lesson. We can accommodate maximum of 4 persons per one lesson. Minimum age is 12 years.